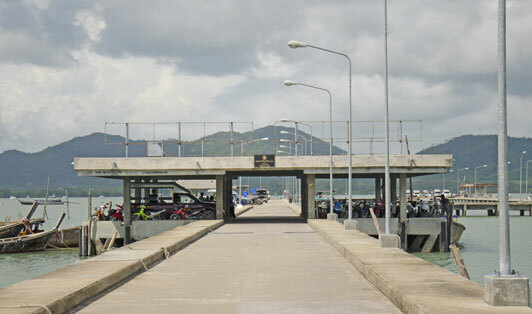 If you are coming in from Phuket to Koh Yao Noi then definitely you will meet the main gates to the island. Manoh Pier is large and has trucks that drop off and pick up some goods and the speedboat usually have some taxi trucks happily waiting to take you to your hotel for a fee. It has boats coming in from many popular destinations like Phuket and Krabi and also has boats going to its neighboring island Koh Yao Yai. The boats are usually large enough to fit a bike which you can take to explore the island freely.